Veracity Pipeline, a project for Asset Integrity Engineering (AIE), is a pipeline integrity management software developed in Symfony. AIE explains the project in their website as “software allows operators to efficiently manage the integrity of their pipelines through its data management, risk assessment, threat mitigation, integrity planning and integrity assessment features. The software provides operators with a user-friendly and systematic approach to Pipeline Integrity Management which is fully compliant with industry codes and best practice engineering standards”. The project was developed entirely by me based on the description and analysis procedures provided by AIE. 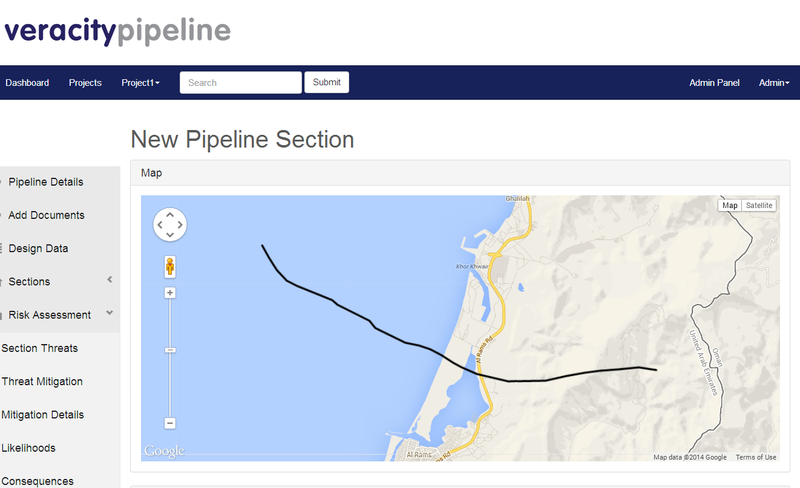 For more information about the project visit Veracity Pipeline page and read Veracity Pipeline Brochure created by AIE. Below are some screenshots of the project.